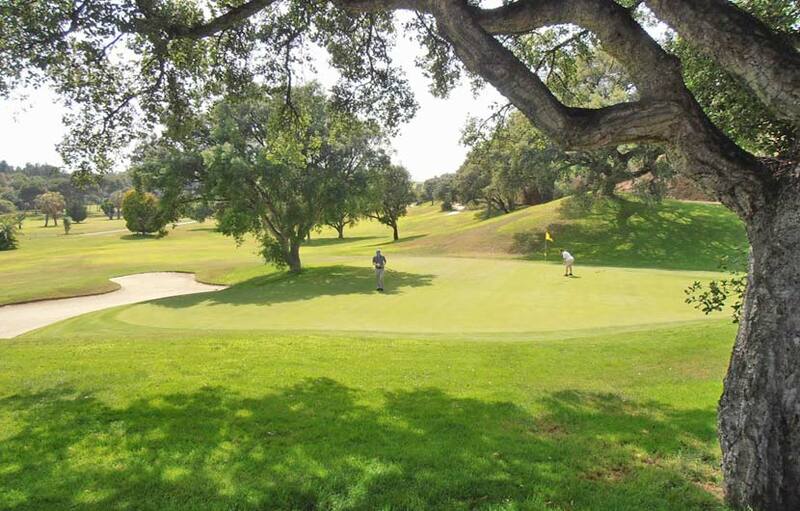 Santa Clara Golf is located just outside Marbella and is a relatively new golf course on the Costa del Sol which has become very popular with high and medium handicappers. 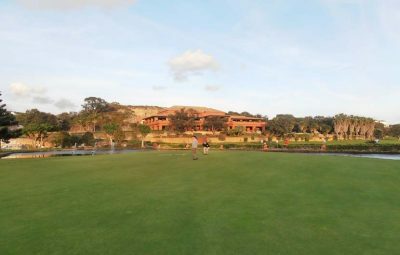 The wide fairways and length of the course is ideal for holiday golf. If you are a single figures player you may find the layout of some of the holes a little disappointing. The wide fairway of the first hole allows for first tee nerves, followed by an easy par 3, should allow most players to get off to a decent start. The back nine is more challenging than the front and has some tough holes incljudingthe long par 5 – 13th. The 18th is a great hole to finish with lots of water around the green. For the longest drive try the sloping 12th hole and if you are up for a challenge make the nearest to the pin the difficult Par 3- 6th . Like so many of the new courses, space is at a premium so be careful on some of the fairways that run parallel with other holes. Having said that Santa Clara is a real joy to play and has become a much valued addition to the golf scene on the Costa del Sol. What the course lacks in space, it certainly makes up for in quality and service. The club house is impressive and the shower facilities are excellent. There is a buggy service from the car park to the clubhouse and starters on the 1st tee. The driving and putting practice areas are first class and you can play off the grass. The club house is large and luxurious with a a well equipped Pro Shop. The changing rooms are modern with individual showers and towels. 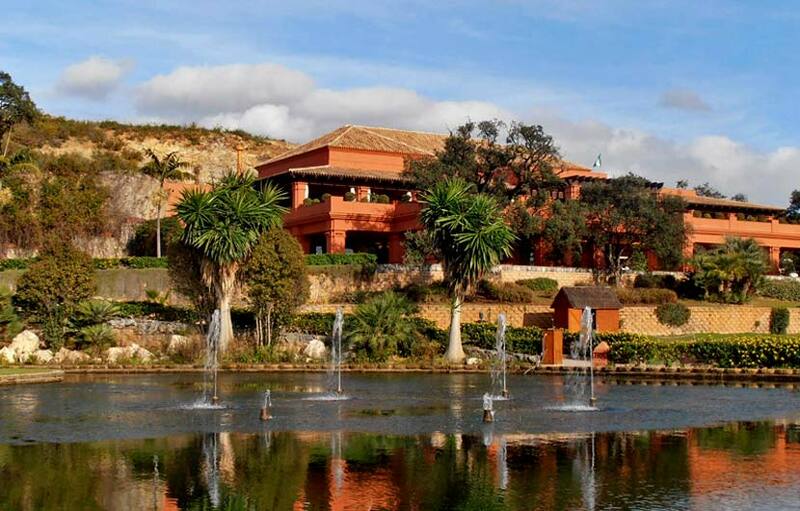 The restaurant and bar area is impressive, located on the first floor of the resort with a large sun terrace to enjoy food and drink overlooking the golf course.